Wow! 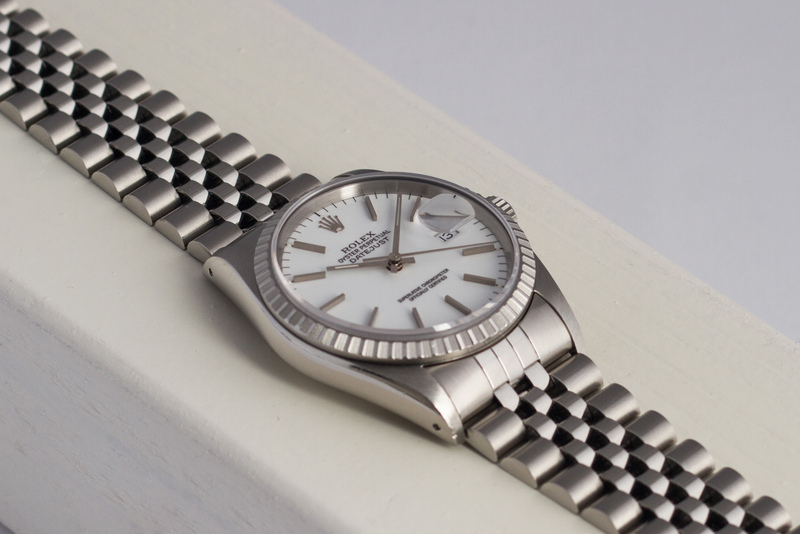 This Rolex Datejust with reference 16220 is fitted with the purist white dial of them all – the porcelain dial! 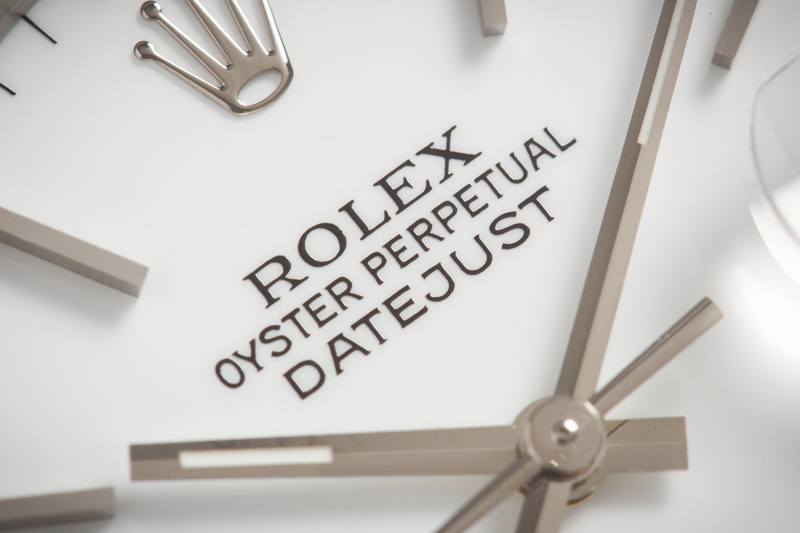 Most of us are familiar with the porcelain dial from the early version of the 16520 Daytona watches. 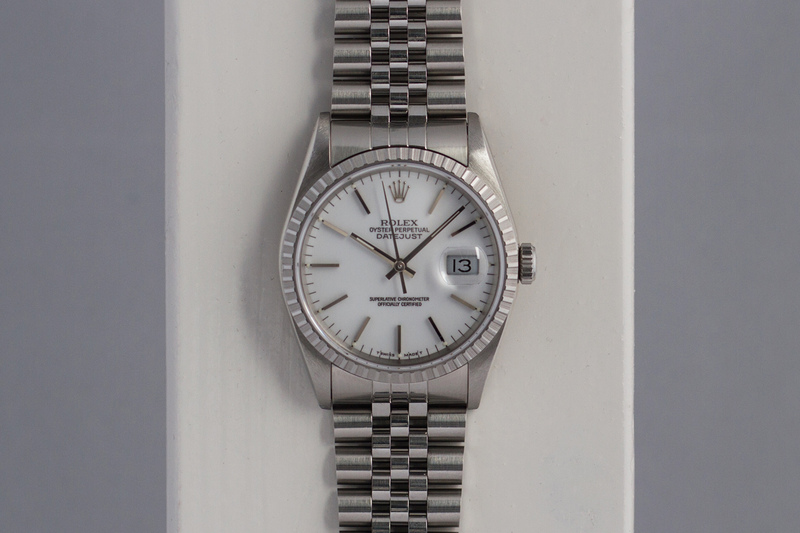 But Rolex also fitted some Datejust models with dials made from this same material. The way the glossy porcelain smiles at you when you look at the watch is unlike anything else, the dial constantly plays with the light making the markers and hands seem black at one time and at another time exactly for what they are – white gold! The black text on the dial has a wonderful glossy finish because of the way these dials were processed in production. 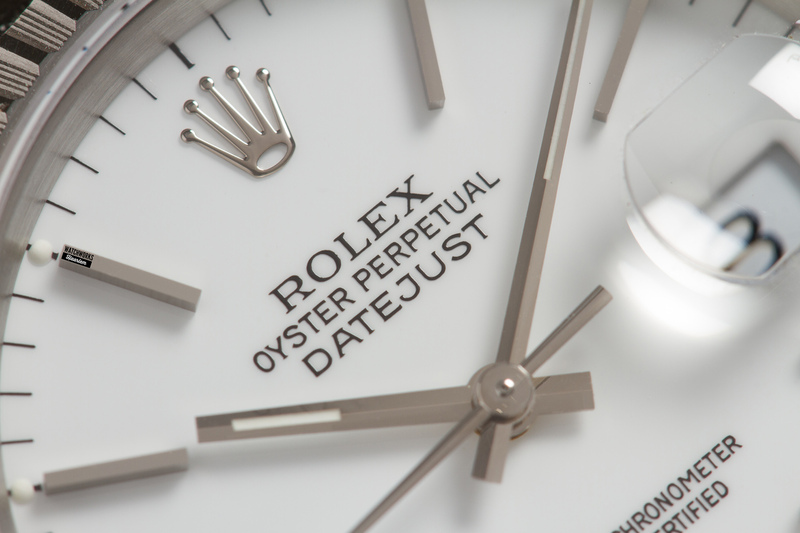 Because of the porcelain dial, the entire atmosphere surrounding the watch is one of exclusivity! A wonderful choice if you’re looking for something special and rare. This 16220 is in a very good condition. The case is nice and thick while the engine turned bezel is unpolished and still has the original finish. 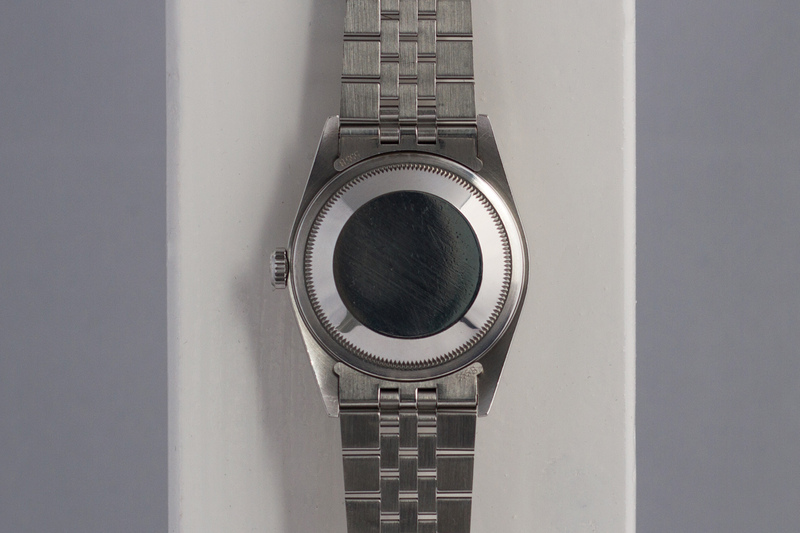 Apart from a small mark at the nine o’clock position, the bezel is like new and free from scratches or other damages. 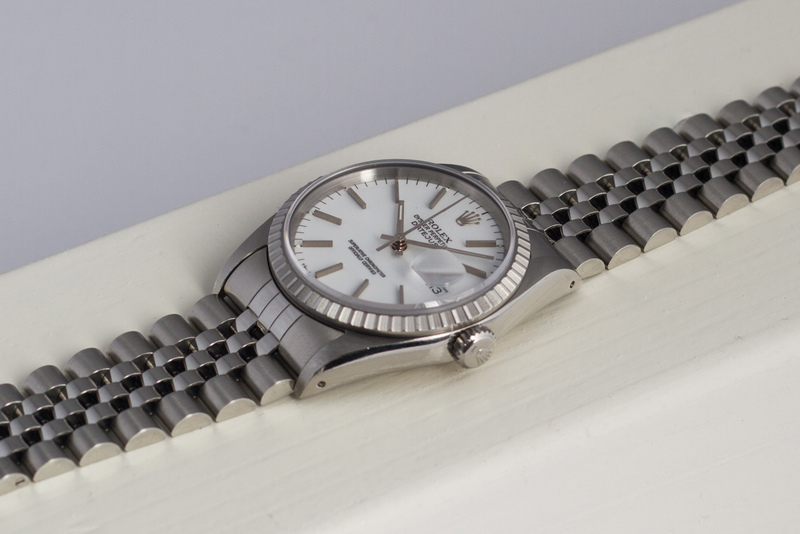 The 62510 H Jubilee bracelet is in a great condition and has little to no stretch. There is however a small dent on the left shoulder of the case (at the 7 o’clock position). Because the watch is in such a wonderful and original condition we kept that as it is. But if you want, we can have these small damages removed through polishing. Keep it unpolished or make it like new – the choice is yours! The watch and it’s movement have been fully checked and cleaned by our watchmakers and will be sold with a twelve month warranty.